Srihari Palangala is the Marketing Director for EMC India. An engineer by profession, he has a passion for technology and has spent around 15 years working with technology products in various roles including business development, consulting and marketing across the US, India and Asia Pacific. Prior to EMC, he was engaged with organizations like VMLogix, Adobe India and Microsoft India. In his previous stints, he has been instrumental in driving business transformation and geographical expansion. As a marketing leader, he has a proven track record of accelerating customer acquisition through innovative marketing programs and strategies. He holds a Masters in Computer Science (Arizona State University) and an MBA from the Indian School of Business. Outside of regular work, as a marketing expert, he actively engages with the ecosystem – offering workshops and online sessions through NASSCOM, IPMA and angel networks to various audiences. Srihari prefers to spend his free time with family, reading philosophy/spirituality literature and is also an occasional blogger. 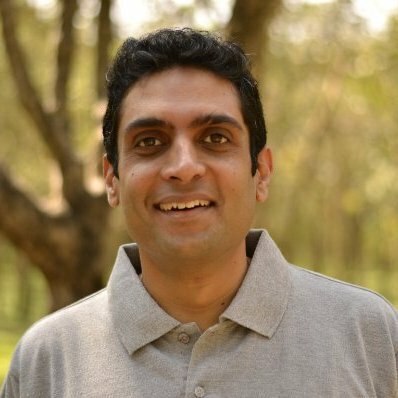 Srihari has spent his entire career this far in technology – in various roles from research, programming, consulting, product management to marketing – in field and product marketing roles spanning across India, US and the APAC markets. Srihari’s work experience has been across large MNCs (OPNET Technologies, Adobe, Microsoft, EMC) and in start-ups (VMLogix, later acquired by Citrix) – and he has rooted his work in marketing on a strong understanding of technology.